Cotswolds tours are definitely one of the best ways to enjoy the largest, most beautiful and most popular Area of Outstanding Natural Beauty in England within a limited time. Visitors have plenty of options to choose from when it comes to these tours – by land, air and river. We suggest choosing the option that best suits your goals for a visit to the Cotswolds and then exploring the other options when you have had your fill of your first choice. For example, after touring the Cotswolds on land, you must see the area by air for an exhilarating perspective. Perhaps the most popular Cotswolds tours are the walking tours, which can either be guided by area experts or self-guided. With 787 square miles to explore, said area of which is dotted by limestone villages, wool churches and medieval castles interspersed by quintessentially English countryside scenes, visitors have their work cut out for them. Be sure to wear sturdy walking shoes and bring along sufficient provisions for the day. Cotswold Way Walk with various walking stages stretching from 6 miles (Chipping Campden to Broadway) to 17 miles (Painswick to Uley). Gloucestershire Way (100 miles) with footpaths, bridleways and English landscapes that take your breath away. It is also possible to cycle your way through most of these walking paths for an easier and faster means of enjoying the Cotswolds. 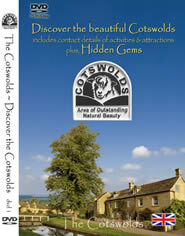 Yet another of the easy-to-plan Cotswolds tours is the organized tours provided by travel agencies. These tours come with accommodations along the way, thus, eliminating the hassles of booking your rooms. 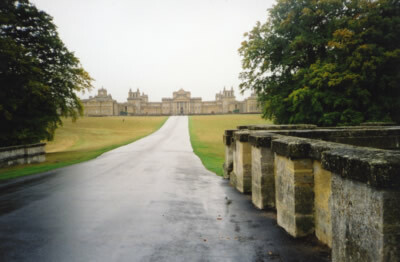 You will have the added benefit of a well-versed driver and tour guide during your trip through the many villages and towns of the Cotswolds. It is also possible to tour the Cotswolds via public transport like the rail, bus and coach. These are mostly self-guided tours. Many rivers run through the Cotswolds, thus, making river tours and cruises popular among visitors, too. Among these rivers are the Avon, Severn and Thames with each river offering many historical places and tourist attractions, which make the trip more than worth your time, effort and money. And of course, let’s not forget the most exhilarating – and dizzying, too - Cotswolds tours of them all – hot air ballooning. These balloon flights take off from 7 landing sites across the Cotswolds, thus, making each as special as the others. The flight lasts for a minimum of an hour over the magnificent hills, valleys and villages of the Cotswolds. After landing on solid ground, everybody celebrates the experience with bottles of champagnes, plenty of pictures and certificates.